I am a teacher 365 days a year. I truly believe that teaching is a calling, which differs from many other professions because it is ingrained on your soul. Teaching is part of my identity, so of course I am a teacher all the time. And that includes summer break, winter break, spring break, snow days, and all the rest of that "free time." I'm sure my husband can vouch for me on this. I am constantly thinking about my school, my students, my curriculum, and what I can do to improve myself. 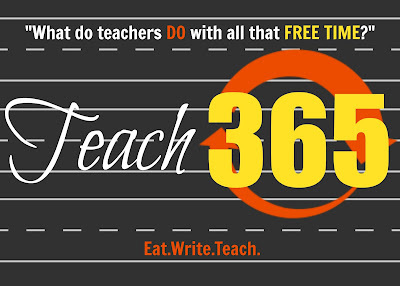 I teach 365. In an endeavor to clarify these fallacies, I have invited a few fellow education bloggers to write guest posts, sharing what they do - even in all that down time we have - to Teach365. Today's post comes from Sarah at Kovescence of the Mind. Show Sarah some love and visit her blog and Teachers Pay Teachers store for more great tips and tricks! My husband, a chef, walked into the kitchen at work- a local college- and stepped into a conversation among his coworkers about teachers. The others were commenting on how overpaid teachers are for the few hours they work a day; 8-3: what kind of work day is that? He waited to see what would happen, but when the conversation continued down that path, he stepped in. “My wife is a teacher, and I can tell you that she works more hours than we do.” Silence fell upon the kitchen. Not only were they slightly embarrassed for the conversation they were having in front of a teacher’s spouse, but they were shocked. My wonderful husband went on to fill his coworkers in on all the work I do outside of the school day. I am an English teacher, so it is no surprise that I adore books. I often feel guilty reading books for pleasure during the school year (something I need to work on), so I devour them during breaks. It is not unusual for me to go through an entire series during winter and spring break. However, I do make it a goal to read one professional book during each of those breaks. I find that it helps me reignite my fire while recharging my batteries. Some of my favorite include Teach Smarter, not Harder and The Together Teacher. However, my professional reading also takes the form of reading and organizing all the saved digital articles and blog posts that I keep during the school year. When I am scrolling through Facebook and find posts that I want to read, I save them for later. During my breaks, I go back, read them, and organize them (usually on my Pinterest Boards). 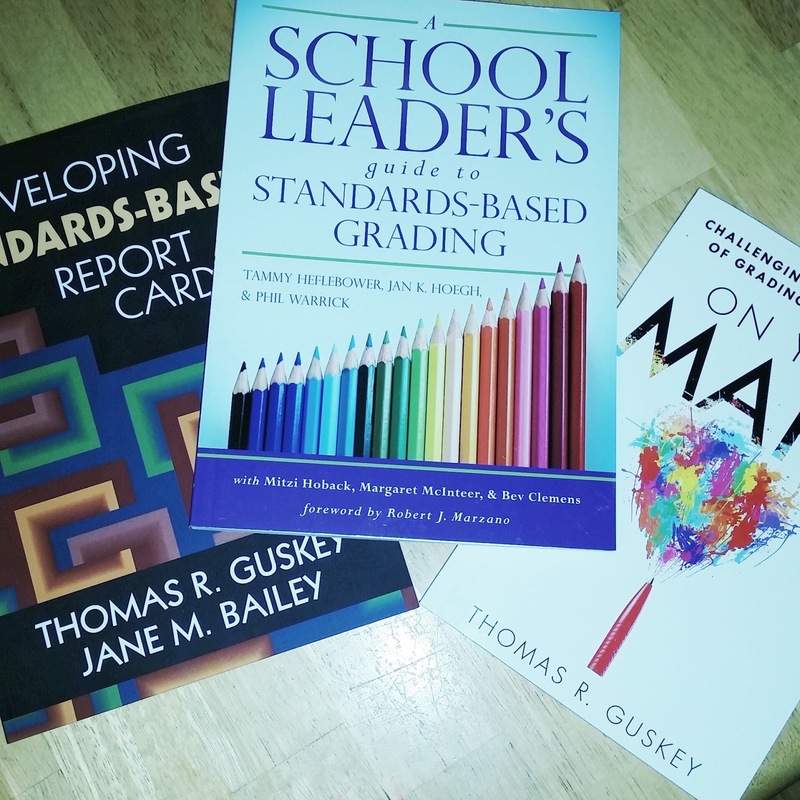 While this may not seem like a huge deal, it is how I stay current on education trends and pendulum swings and how I find new activities and resources for my classroom. 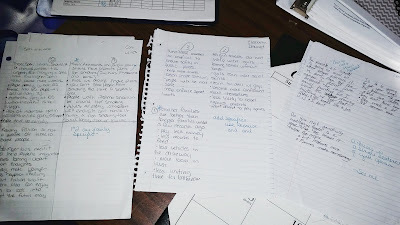 I make every attempt to avoid assigning work to my students during vacations nor do I want lingering papers and projects waiting for our return after a week or two off. 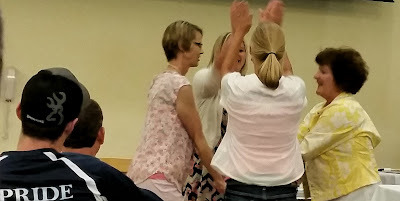 My students need a brain break, so I give them one. This means that tests, papers, and projects are due before break, which results in me having stacks to grade during vacations. 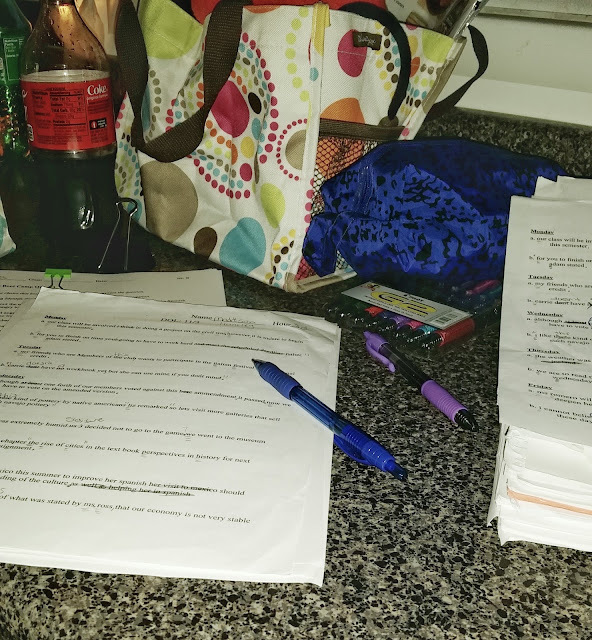 Now, grading falls right behind staff meetings and office paperwork on my list of things I don’t love about my job, but I will grade over break because I believe it is what is best for my students. Those research papers can take some time to grade, so I have to set a schedule for grading. I either plan an hour or two a day over the break to work on grading, or I drive to school for a full day; it depends on upon what my family’s schedule looks like for vacation. I purposefully plan my grading time, so the rest of vacation can be spent relaxing, enjoying family, or doing what I want. It is necessary for me to have at least two weeks worth of lesson plans done when vacation is over. If I don’t do this work while on vacation, I am scrambling the first days back, and my students are missing out on learning opportunities. Plus, coming back from a holiday can be hard on the body and mind, so any prep that I can do to make the transition easier for myself is worth the time. Each summer I work to hone my craft. I do this not only for my students but myself as I have goals and dreams that I am working towards. I use books, Facebook groups like the one I run for journalism teachers, free online courses, and conferences/trainings. Right now I am reading Unshakable and participating in the Facebook Book Study. 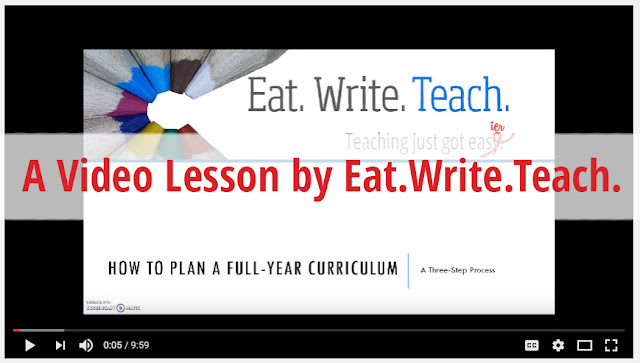 I just finished a free online course in blogging, which I intend to use with my senior portfolios in the fall. I have also attended an online training on the new grade book in Power School. I have several more trainings planned for the month of August. I have taught summer school every summer except one since I started at my current school in 2009. I spend two weeks with the struggling students of our school getting them caught up on learning and credits. I spend five hours a day for eight days in June teaching four classes in one room to students who couldn’t pass them the first time around. This is a thankless job, but it is incredibly rewarding to have students walk out of my summer school classroom back on track to graduate. I run our district’s student information system, Power School. That means that I spend time in the summer setting up the most important technology application in our district for the next year. 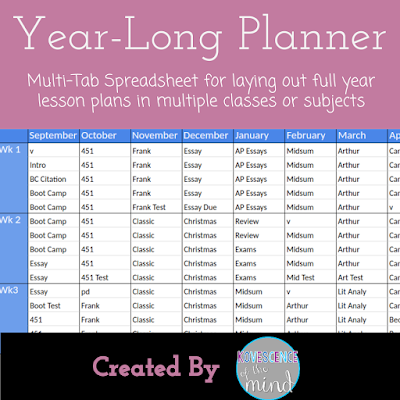 This includes schedules for four buildings, inputting the calendar, and backing up data from the previous year. I put in enough hours one summer to take a week off during the school year for a family emergency. 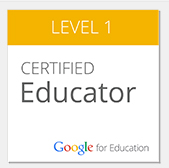 I also am currently working on my Google Trainer Certification and on building a new school website from scratch on Google Sites. Next year we are moving towards a balanced calendar, so who knows what the days, weeks, and months of the year will hold for me. 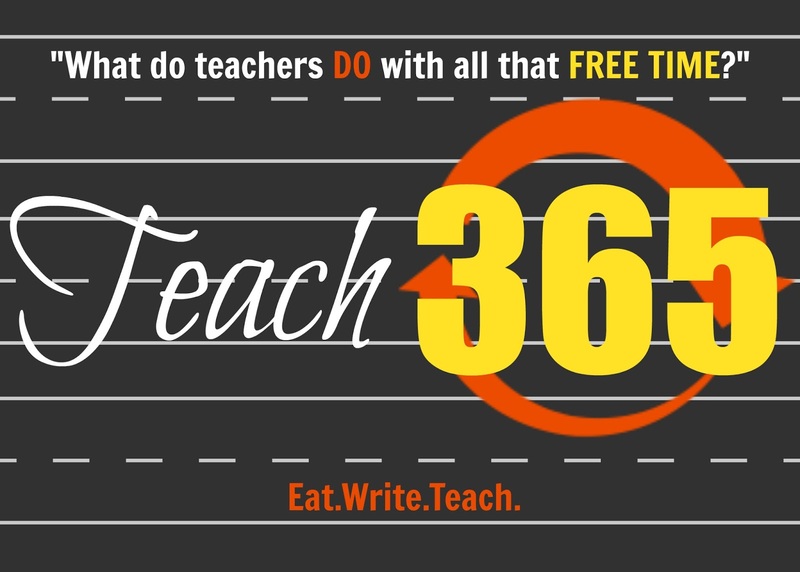 Check out how I Teach 365 during the school year on my blog. Sarah is a high school English, social studies, and psychology teacher in Michigan. She blogs at www.kovescenceofthemind.com.